Welcome to the TIL (Today I Learned) blog series about social and tech industry trends that affect your everyday life. Today, we delve into a few of the many social media platforms! Currently, most websites have a social aspect to them. Yelp reviewers are connected to each other through shared locations and the comments section of a website that posts articles about news or culture connects users by facilitating conversation. Overall, it is important to remember that while each social media platform has a function it excels at, there are diverse ways to use a social media account on any platform to achieve social or business goals. Additionally, it is important to remember to be considerate of not only your privacy and security concerns, but also those of people your interact with and post about on social media. For example, consistently posting about your and others’ locations through restaurants you visit or places you frequent could create a portrait of your whereabouts that others could exploit. Do not be afraid to talk to your friends about how they feel about being tagged in posts, photos, and locations, as social media should and can enrich social life both online and offline. In the past four years, social media has become an integral part of daily life. Platforms such as Snapchat, Tumblr, Vine, and WhatsApp have dramatically changed the social media landscape and become household names. 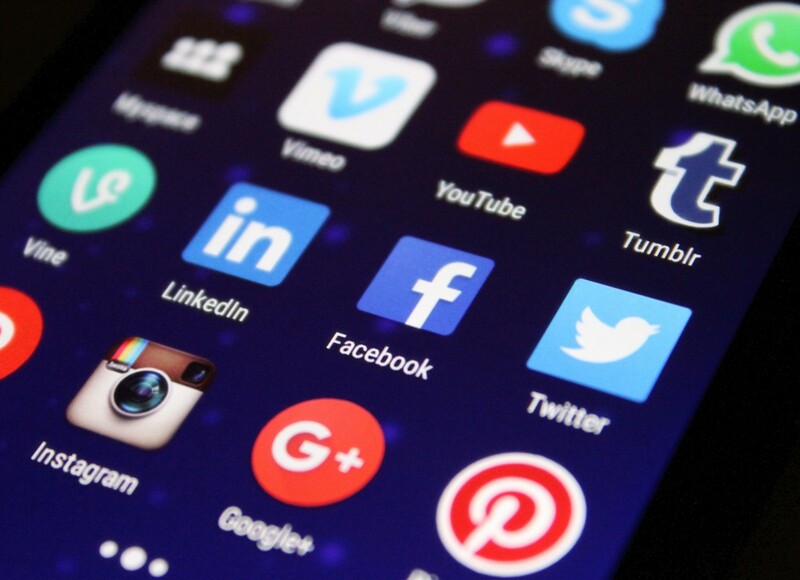 In this post, we will profile the major social media platforms and their uses, with examples from The University of Pittsburgh’s own social media presence. A comprehensive list can be found at Social Media at Pitt. Perhaps the most ubiquitous social media platform, Facebook most immediately connects its users to their real-life social network. Users can also join “groups,” such as private groups for coworkers, public groups for sports fans, and secret groups for friends. Event details can also be posted on Facebook, allowing hosts to keep track of potential attendance and contact those invited. Facebook additionally has options for businesses and professional and public personalities. “Sharing” and “liking” photos, links, and quick personal thoughts and questions are the foremost methods of communication on the site. Be conscious of how your friends feel about being tagged in posts, photos, and locations and never share any personal information that could lead to the discovery of your passwords or personally sensitive data. While Twitter is still primarily a site for sharing thoughts in the form of 140 character “tweets” and creating discussion through the use of “hashtags,” Twitter has also become a popular site to share photos, videos, and links. Direct communication between users is facilitated tagging in a tweet, such as at “@PittTweet The weather in Oakland is beautiful today!,” or in a direct, private message between users (known as the “direct message”). Twitter “lists” can be used to keep up with your favorite writers, activists, or actors by grouping their profiles into one feed. In regards to privacy, users can have their tweets available for public or private viewing, sharing only with the users they personally select. Instagram allows users to utilize their smartphone’s camera feature to post photos with filters to enhance their appearance. Instagram easily facilitates cross platform posting; if enabled, Instagram posts can be shared to your Twitter, Facebook, Tumblr, and Flickr, and Swarm accounts. Instagram is perfect for managing your personal brand, sharing your creative work, and more recently, has become a site to market services and promote both online and brick and mortar shops. While not commonly thought of as a “social media” site, YouTube is a video sharing site where content can be uploaded by users. Users can subscribe to a video creator’s channel to receive notifications when a new video is uploaded, comment on videos, give a thumbs up or thumbs down to a video, and share and embed video links. There is a vast amount of social communities on YouTube, such as makeup artists, amateur mechanics, and film and music reviewers. Be considerate of your identity when posting to YouTube via videos or comments, as your likeness and Google account will be affiliated with your contributions. LinkedIn bills itself as the “world’s largest professional network.” Users create profiles to list their skills, job experience, and qualifications. LinkedIn users can create their network through adding colleagues and connections who are also users of the site to build a more robust portrait of their professional network and gain endorsements of their skills. Most of LinkedIn’s revenue is made from selling user’s information to recruiters and sales professionals, so avoid LinkedIn if this is an issue for you. Pinterest is a photo sharing social media platform which allows users to create “boards,” not unlike mood boards, spanning a diverse range of topics, such as cooking, style, and gardening. Users can view public boards created by other users and create secret boards that are private from user’s views. Any image from the Internet can be posted to Pinterest, as long as it exists on a webpage. Thus, Oakland bakery could “pin” photos of their confections to a board featuring baked goods, and potentially be noticed by other users interested in baking and baked goods. As always, be considerate of those in your photos and be aware that Pinterest assumes ownership of your photos after you post them to the site.